In 1971 the film version of Dalton Trumbo’s controversial anti-war novel Johnny Got His Gun was released and I was invited to spend an afternoon and evening with the Trumbo family at their home in Marin. If only I had thought to make notes but I was so entranced with the stories he told that there was no time to think about such a thing. Helen Mirren, Louis C.K., Elle Fanning, Diane Lane and John Goodman co-star. Trumbo opens in San Francisco theaters on Friday, November 13th. “Sometimes we take our constitutional rights to freedom of speech and freedom of assembly for granted, until films like Trumbo remind us how precious they are. Also, discovering which Hollywood heavyweights (John Wayne, Kirk Douglas, Otto Preminger, Edward G. Robinson) were on the right or wrong side of history is a revelation. Kirk Douglas hired Dalton Trumbo to write Stanley Kubrick’s Spartacus against the fears of Hollywood. What did he think of this new movie? Caryn James writes about the making of the film in “A Hollywood Ending for Dalton Trumbo” for The Wall Street Journal. 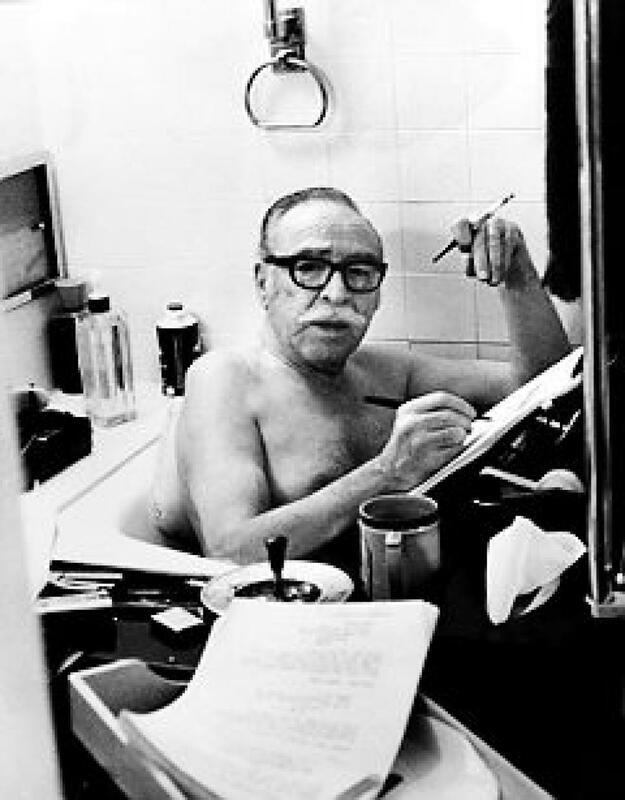 Read a detailed biography of Dalton Trumbo here. This entry was posted in Columnists, Films and tagged Dalton Trumo, Films, Gary Meyer. Bookmark the permalink.